Luxury consumers around the world are embracing new technology and adding these digital touchpoints – including, of course, their smartphones – into their shopping behaviors. But overall, luxury brands have been far too slow to respond to their customers’ rising digital expectations. Luxury brands, tier one through to aspirational, are now scrambling to bolster their digital strategy and capabilities to take advantage of double-digit online luxury sales growth over the next 5 years. Plus, they’re starting to realize that if they don’t act, they stand to lose their digitally savvy customers to online luxury multi-brand retailers that offer much more sophisticated digital experiences. Luxury consumers are far more digitally mature than many luxury brands. It turns out that luxury consumers are among the first to adopt new technology, engage with social media, and shop across multiple online and offline touchpoints. In fact, luxury consumers’ behaviors and expectations are further ahead of their mainstream counterparts. So why do many luxury brands’ digitally offerings still come up woefully short? Luxury brands risk digital disenfranchisement. Thriving online multi-brand powerhouses like Net-a-Porter and Farfetch prove that coupling luxury merchandise with online shopping is not only profitable, but it’s also attractive to the luxury consumer. Numerous luxury brands appear to be unaware of how quickly customers have become digitally fluent and now expect their favorite brands to be equally digitally nimble. Luxury brands must connect digital and physical assets. Executed correctly, digital touchpoints complement and enhance the in-store experience, rather than detract from it. 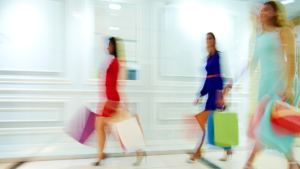 Luxury firms that neglect to connect their stores with digital touchpoints miss out on strengthening how they engage with customers. They also forego the monetary halo effect of in-store sales that are influenced by digital touchpoints before the customer even sets foot in the physical store. Luxury brands must be re-engineered for customer obsession. Reconciling technology, processes, personnel, and inventory to connect digital and physical assets is daunting, but also necessary. Luxury consumers will lose patience with brands that do not effectively cater to them with rich, relevant offerings across online and offline touchpoints.